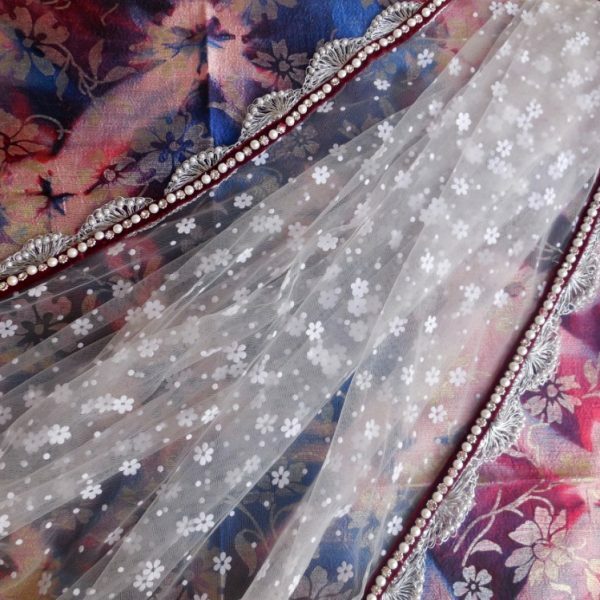 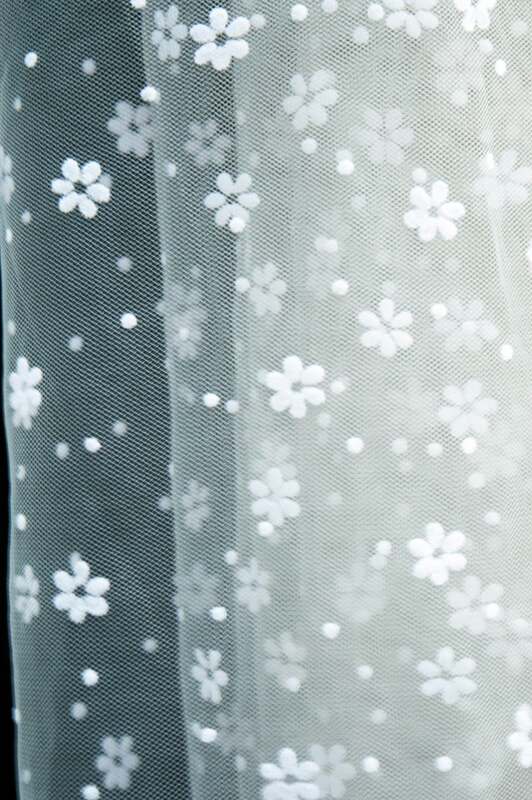 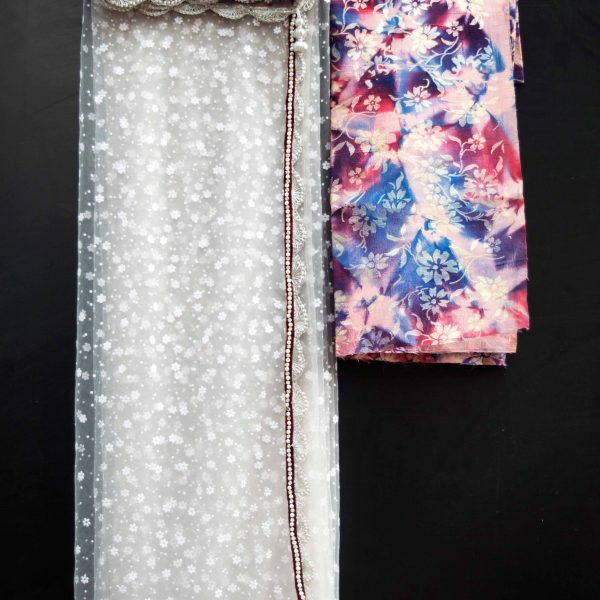 Beautiful white net saree with flowers. 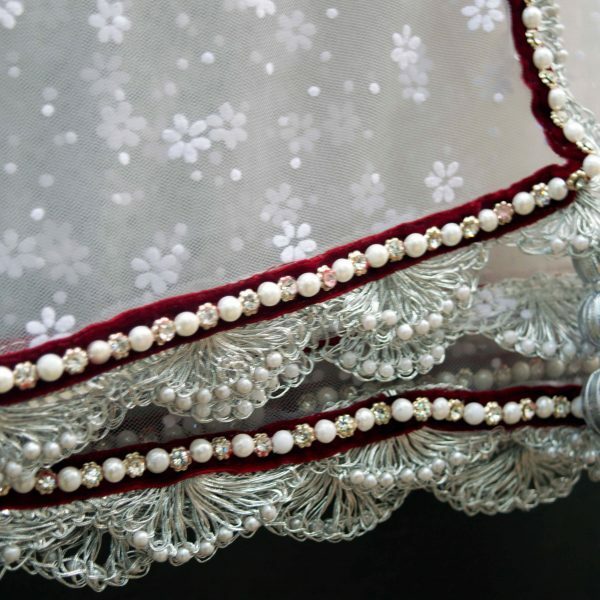 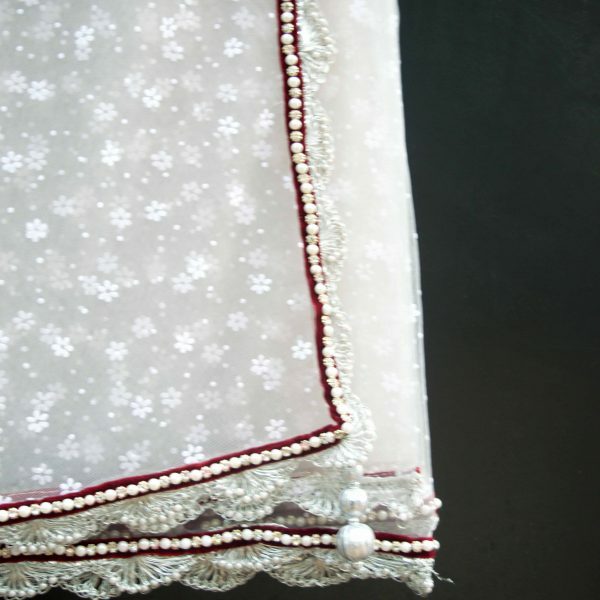 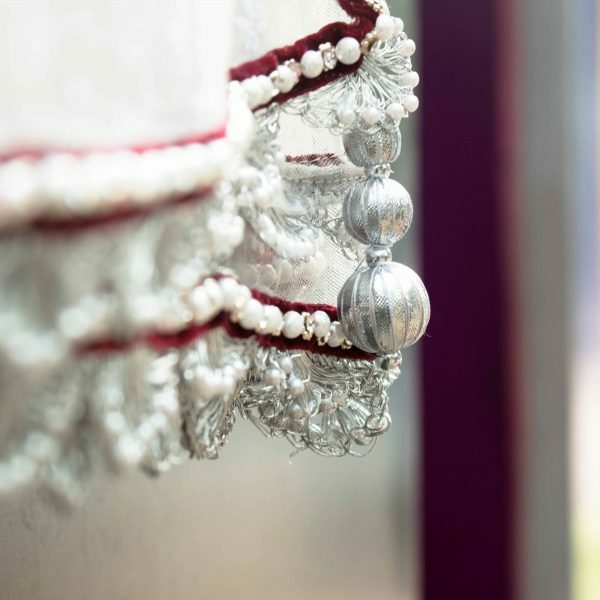 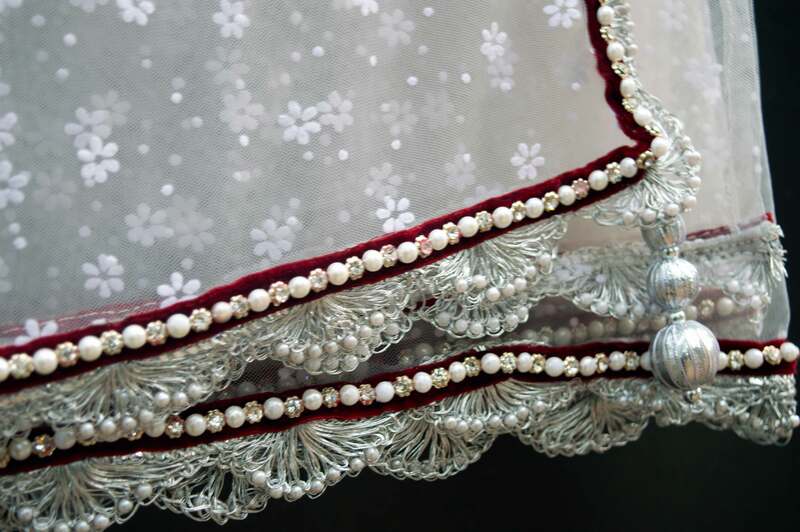 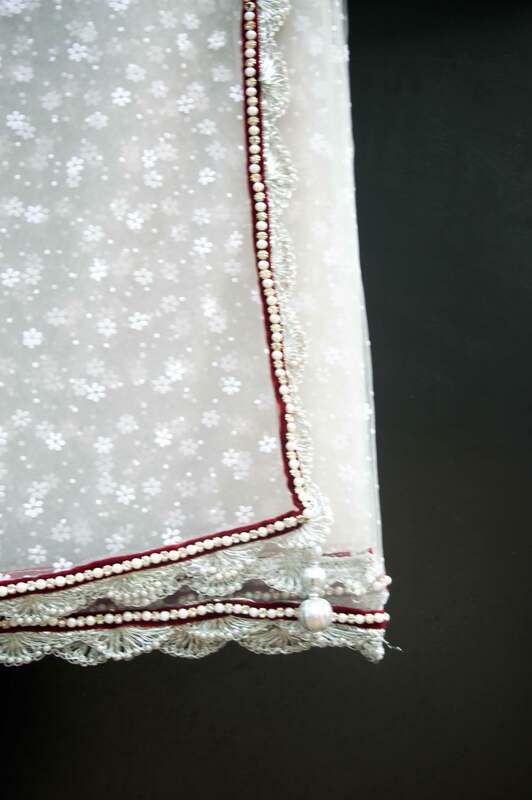 Maroon half inch velvet border of pearl and stone alternating with a silver scallop edge. 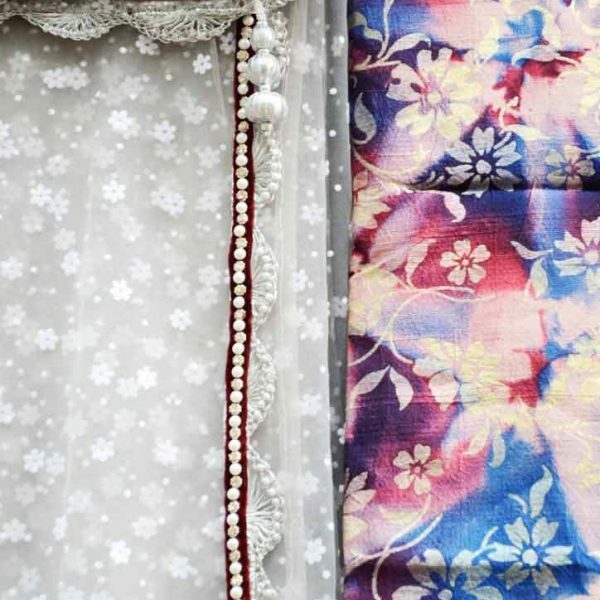 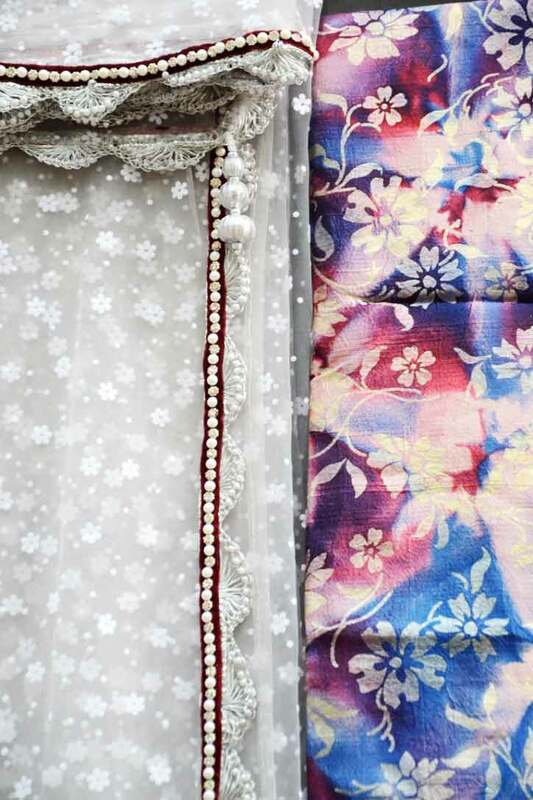 Multi colour flower print blouse piece provided. 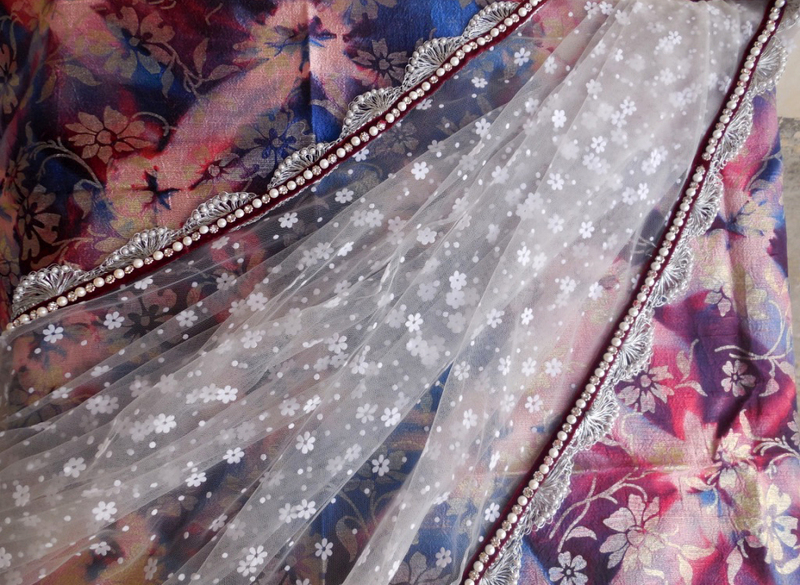 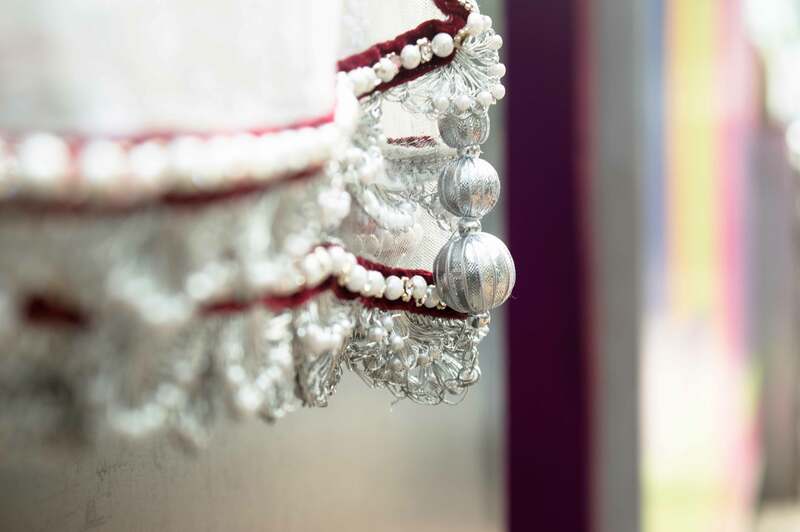 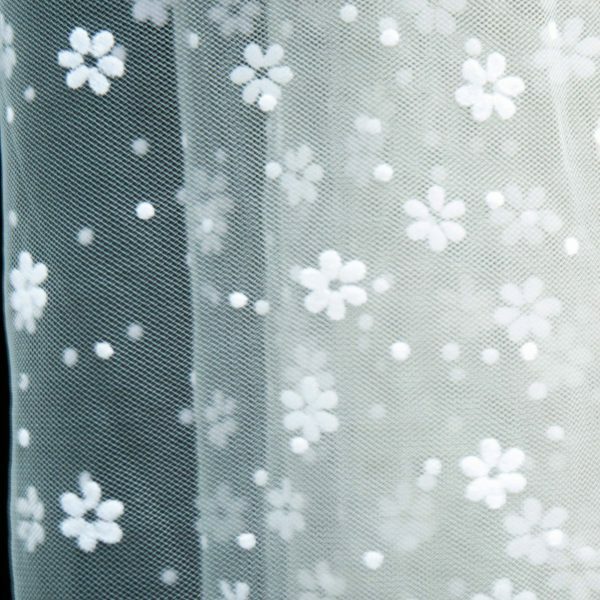 Matching light grey satin petticoat along with the sari. 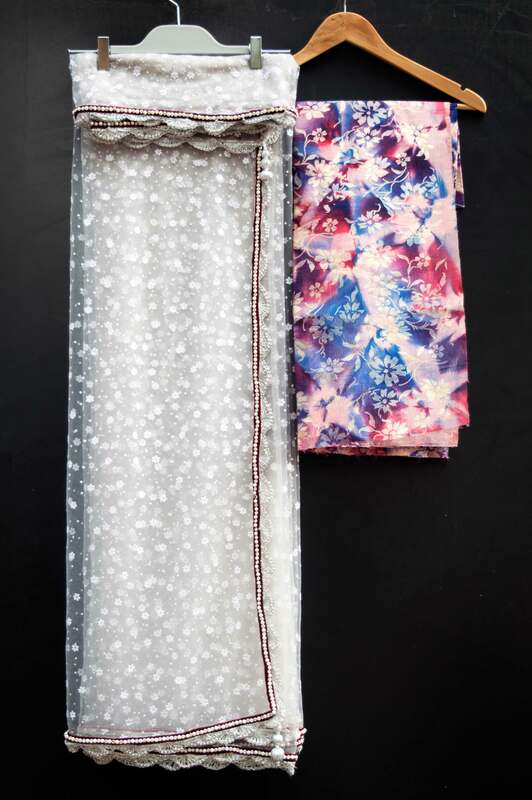 For international shipping please send an email with your shipping address to fashionfrappes@gmail.com for a quote.